Updated 2/20/18: The FBI confirmed to PublicSource that it does not have an open investigation into the city's relationship with B-Three. 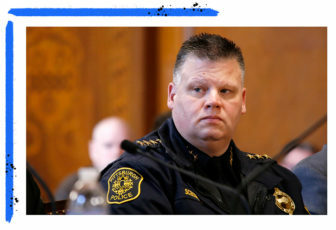 When Cameron McLay became the chief of Pittsburgh’s Bureau of Police in September 2014, he inherited an agency still reeling from a corruption scandal that sent his predecessor to prison. Barely a year later, McLay became more and more concerned about the bureau’s most vital data systems, used regularly by hundreds of police officers. Trusted staff raised red flags about computer programs not working and cheaper options being ignored. Oddly, some city employees seemed to push back on efforts to seek other vendors that could provide cheaper, more modern options, according to sources with direct knowledge of the matter. McLay went to the FBI with his concerns. 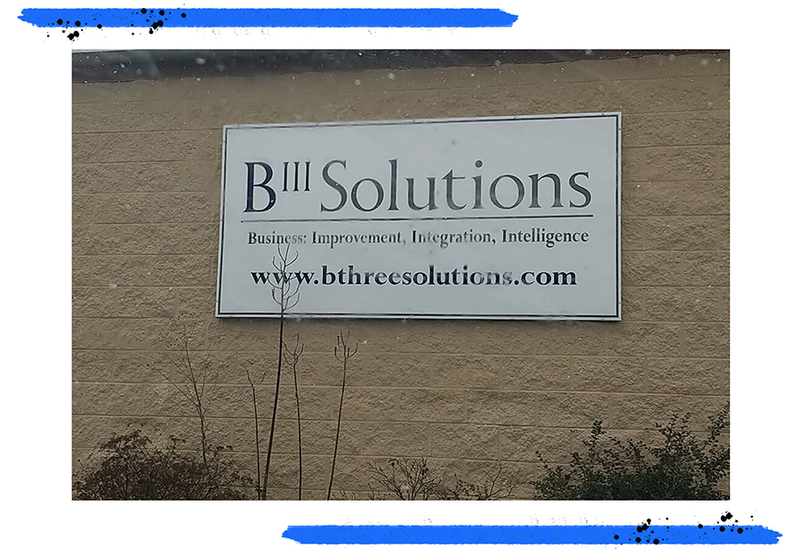 For at least a year, FBI agents examined whether city employees might have had inappropriate ties to a contractor called B-Three Solutions and if B-Three had been paid for unfinished projects, according to knowledgeable sources, including Pittsburgh Mayor William Peduto. Separately, McLay initiated an internal investigation. 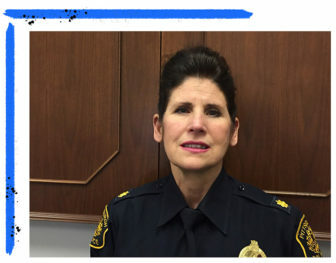 Now, an officer is taking on one of the city’s top police officials, claiming in a federal lawsuit filed Feb. 14 that the FBI investigated Deputy Public Safety Director Linda Rosato-Barone as part of the probe. Rosato-Barone worked on numerous B-Three projects over the past decade. Patrol officer Souroth Chatterji claims Rosato-Barone threatened him for scrutinizing B-Three projects — a task McLay assigned to him. His lawsuit argues that Rosato-Barone tried to stall his career and used her influence to end both a city investigation into the matter and the police bureau’s cooperation in the FBI probe. Rosato-Barone did not respond to repeated requests made in the past two weeks for comment on B-Three. She did not respond to a request for comment on the lawsuit. A city spokesperson said the city does not comment on legal matters. The status of the FBI investigation is unclear. The FBI will not confirm the status of any investigation. Peduto told PublicSource that the federal investigation ended last year without finding wrongdoing, according to a brief conversation he had at the time with Public Safety Director Wendell Hissrich; the city reiterated this in a statement today. When questioned after a city council meeting on Feb. 14, Hissrich referred questions on the federal investigation to the FBI. Serious concerns remain. The Citizen Police Review Board is in the early stages of an inquiry related to B-Three. And Peduto said the city’s Office of Municipal Investigations [OMI] is looking into the matter; Chatterji claims he is under investigation by OMI for his scrutiny of B-Three. As PublicSource looked into the city’s relationship with B-Three over the past five months, reporters have learned the city has paid about $4.3 million since September 2009 to B-Three for numerous software projects. The city could not provide records of payments to B-Three between 2006 and late 2009. Since 2006, the city has commissioned B-Three to build the police bureau’s flagship data system — the Automated Police Reporting System [APRS] — several APRS add-ons and other computer programs. The city hired B-Three to improve crime-related data communications with a system that “helps the city catch criminals,” according to a 2007 press release from the company. B-Three President Michael Walton said he could not comment on the company’s work for the city, citing a non-disclosure agreement. However, in a call with PublicSource prior to publication of this story, Walton said: "You do realize that the chief [McLay] ordered those projects stopped, right? They were not implemented because the city stopped them. They were completed. They were not put into production. It's the city's responsibility. You should talk to them, not us." When reached by a reporter on Jan. 25 at B-Three’s Plum Borough office, Walton said he knew nothing about an FBI investigation. But in a Jan. 29 certified letter sent to PublicSource via U.S. mail, Walton wrote that he’d learned the FBI was looking into the city — not B-Three. Walton claims that the city paid the company from the wrong account. “The investigation was related to a fund that B-Three Solutions was erroneously paid out of,” he wrote, explaining that it was a one-time error. He put that investigation in 2014, which does not match the timeline given by numerous sources. Chatterji claims in his whistleblower lawsuit that the city paid B-Three for projects that weren’t finished, and that some of those payments came from federal grant money, which raises the possibility of grant fraud. The lawsuit highlights three allegedly incomplete projects, including programs to track evidence, streamline the city’s most sensitive cases and automate data on how officers spend their shifts, the latter of which is required by a 2011 city statute. 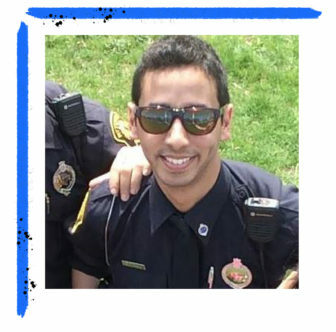 Chatterji claims that the unfinished projects compromise the safety and efficiency Pittsburgh police officers. City of Pittsburgh Communications Director Timothy McNulty said in a Feb. 14 statement that the city is committed to “providing police with the technology they need to make crime-fighting as effective as possible.” The statement underscores that the B-Three contract was issued under the administration of Mayor Luke Ravenstahl, who left office in January 2014. According to knowledgeable sources, the resistance by some in the police bureau to even consider cheaper, newer systems to replace B-Three products stoked McLay’s concerns in late 2015 that something might be wrong. McLay would not grant a formal interview but, in a written statement to PublicSource, he confirmed his concerns about the possibility of wrongdoing by city employees. McLay, who resigned for unrelated reasons in late 2016, saw a worst-case scenario where evidence could point to criminal wrongdoing. McLay confirmed that the federal and OMI investigations were “active and ongoing” at the time of his departure. Inquiries by PublicSource into the bureau’s history with B-Three sparked opposition. The city has repeatedly denied Right-to-Know requests filed in October for emails among police and Public Safety officials regarding B-Three. And, after more than two weeks of attempting to secure interviews with Rosato-Barone, Hissrich and Chief Scott Schubert, PublicSource received a call on Feb. 9 from Public Safety spokesperson Alicia George, who asked a reporter to reveal information on sources and the specifics of our investigation. “I need you to give me a pointed angle here...” George said, while attempting to learn details on sources and cast doubt on their credibility. George said interviews with the officials would be contingent on providing written questions; PublicSource provided a handful of written questions but no interviews have been granted and no answers have been sent. “I came into that and saw that there was a problem, and others had seen that there was a problem, and I know that there had been refinements throughout the city to address that problem,” Hissrich said. He would not specify the problems he referenced. 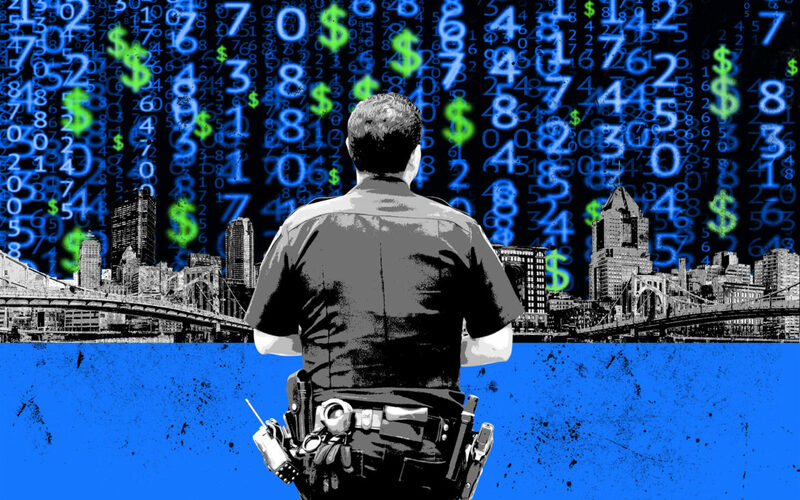 What could read like a feud over software is rooted in a more fundamental fight about whether Pittsburgh has an appropriately efficient police force, or if officers are needlessly hampered by outdated, underwhelming and stalled products. That’s put Chatterji, a young tech-savvy officer, against Rosato-Barone, a 38-year police veteran who’s seen her influence magnified since McLay’s departure and amassed a career’s worth of allies who view her as a highly competent in pushing technology projects forward. Rosato-Barone was promoted in February 2017 to assistant chief and named deputy director of Public Safety. Though McLay shifted control of technology projects to his chief of staff then-Commander Eric Holmes, that responsibility was returned to Rosato-Barone after McLay’s resignation. Rosato-Barone has recently been assigned to assistant chief of administration, which gives her oversight of the bureau’s Office of Professional Standards and OMI detectives. Chatterji, who joined the bureau in 2012, would not comment for this story. His lawsuit details how in recent years his career has been jeopardized due to his scrutiny of B-Three projects. He also claims he became a target of threats and racist slurs related to his Indian ethnicity. According to the lawsuit, Chatterji found evidence of “waste and wrongdoing” in the city’s handling of B-Three projects. Most strikingly, he claims to have found projects the city paid for that simply weren’t finished. A December 2011 statement of work prepared by B-Three explains how the company will build a program to replace the patchwork of notebooks and Microsoft Office documents used by city detectives with an APRS add-on that allows sensitive cases to be organized and tracked by supervisors. Maurita Bryant, who oversaw the city’s investigative branch before retiring in early 2016, said the Case Management program had not been deployed when she left. That means supervisors might not see enough of an investigative file to ask the right questions. Bryant is now an assistant superintendent with the Allegheny County Police Department. Neither the Department of Public Safety nor I&P was willing to answer when the project was finished. They directed PublicSource to file an open records request. Chatterji, in his lawsuit, claims the program remains incomplete. Also in December 2011, the city commissioned B-Three to build a program to log evidence using barcodes at a cost of $150,000, according to that project’s statement of work. But McLay, who wasn’t hired until nearly three years later, was told an evidence inventory would have to be conducted by hand, according to a source familiar with bureau operations at the time. According to the lawsuit, the project was paid for in full in 2012 but never implemented. A PublicSource review of city invoices indicate B-Three was paid in full for the Evidence Tracking project on May 22, 2013. As for the Daily Activity Report, Chatterji claims that his review of the program revealed it to be nothing but a collection of screenshots without source code. In December 2014, B-Three promised to reduce paperwork officers are required to file to give a basic accounting of how they spend their shifts. The company’s paperwork outlines a payment structure of six milestones, adding up to $110,000. The city made the final payment in late 2015. Robert Swartzwelder, president of Pittsburgh’s police union, said on Feb. 9 he is not aware of the computerized reporting program. “All the daily activity reports that I’m familiar with are handwritten,” Swartzwelder said. Elizabeth Pittinger, executive director of the Citizen Police Review Board, said the Daily Activity Report would aid her organization in tracking officer data from an accountability standpoint. To her knowledge, the program – which is required by a 2011 city statute – remains unfinished. McLay ordered a freeze on payments for B-Three projects in November 2015 based on the concerns that led him to contact the FBI, according to sources aware of the action. However, the city continued to pay B-Three for IT work, much of which was billed hourly at rates ranging from $55 to $125. From November 2015 until the chief’s departure a year later, the city paid B-Three nearly $440,000, according to payment data. B-Three does have its defenders. Tajuana Stephenson, who retired as Pittsburgh’s acting chief information officer in early 2013, told PublicSource the company did important work the city wasn’t equipped to handle. B-Three successfully sold versions of APRS to the Allegheny County Sheriff's Department and the Pittsburgh Public Schools police force. An undated memo provided by the city in response to an open records request mentions that Pittsburgh is entitled to newly developed features for free when other agencies purchase the system. City contractor B-Three Solutions launched its business in 2006 while working on technology projects for city police, most notably the Automated Police Reporting System [APRS]. Here are numerous projects the bureau has commissioned since 2007, in order from most to least expensive. The memo also defends the company against “rumored” discussions that the city’s payments to B-Three are “exhorbitant (sic).” The memo, whose author is unspecified, touts the benefit of customization to city systems and explains that “B III products are well underbilled for the services they provide;” it references an average market rate for programmers as $60 an hour but running to $100 an hour, depending on skill. Meixell, from I&P, defended the day-to-day work by B-Three contractors, including two with desk space in her department. But she thinks APRS has exploded far beyond the scope of its original design, becoming a piecemeal system of heads and modules. She did not express concerns about any possible wrongdoing but points to everyday problems with APRS, like a lack of standardization with street names and geographic coordinate information, making analysis of crime data cumbersome. Swartzwelder echoed the sentiment, saying that when he was a patrol officer he wouldn’t use the car-based version of APRS to log a complicated report, fearing it would get lost and he’d have to redo it. Allegheny County has offered to pay for systems that could be used by Pittsburgh police, including a planned upgrade to the county’s records management system. Any customizations city police require would be paid for by the city. The software, created by California-based TriTech Software Systems, meets the FBI’s new standards for crime reporting (APRS does not) and would allow for easy data sharing among police forces. The police forces that join the system would also be more closely integrated to the county’s 911 dispatch center. Pittsburgh is among the agencies still considering using the TriTech system, according to both county and city officials, though the matter is not settled. Meixell sees benefits in the county system but favors an open bid. She’s been successful getting the Department of Finance and the Department of Permits, Licenses and Inspections to go through open bidding for systems previously designed by B-Three. Meixell said Public Safety pushed back on the idea of seeking bids for a records management system, but she would not elaborate on specific roadblocks. “There’s a real resistance I think, in general, to a comprehensive technology understanding of what’s going on for them,” Meixell said. However, Lee Haller, Meixell’s boss as director of I&P for the last year, told PublicSource in January he was not aware of resistance to an open bid. Likewise, Sam Ashbaugh, the city’s chief financial officer, said he had no knowledge of Public Safety resisting the bidding process. 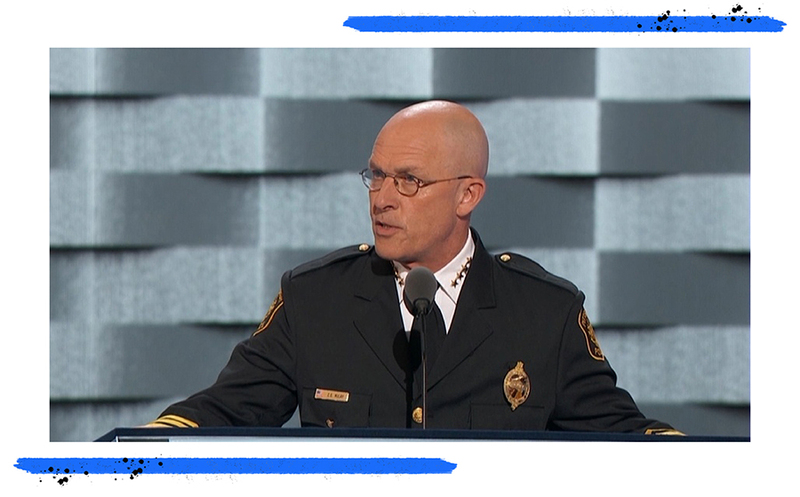 Peduto told PublicSource that concerns McLay brought to him dated back to the administration of Ravenstahl and Chief of Police Nathan Harper, who resigned amid an unrelated corruption investigation that eventually sent him to federal prison. In Peduto’s view, the city properly handed concerns related to B-Three to the FBI and let that investigation run independently. Peduto advised McLay to contact the FBI. The chief had already done so. Despite Rosato-Barone’s lengthy involvement with B-Three projects and Peduto’s direct knowledge of a federal probe related to city staff and the contractor, the mayor said he did not have reservations about promoting Rosato-Barone. Peduto explained that Rosato-Barone could not have been promoted if she were the subject of an OMI investigation at the time. Despite Peduto’s assurances that the matter has been handled properly, PublicSource’s efforts to get public documents related to B-Three projects have been blocked by the city since October. PublicSource sought emails between specific city employees that mention B-Three or APRS. Even though the emails pertain to a data system used by hundreds of officers on a regular basis, the city’s open records officer said our request was not specific enough for any emails to be located. Peduto said he did not know why emails would not be released if they existed, though he said it’s possible they could be withheld if the emails pertained to an active investigation. The city, however, did not argue that emails could not be released, as would be required by the state’s open records law. PublicSource has appealed some of the denials to the state’s Office of Open Records. Serious questions remain unanswered, chief among them is why a city embracing a national image as a beacon of innovation has a police force in turmoil over computer programs. Two city agencies are investigating allegations of wrongdoing between Pittsburgh police and city employees with a software vendor the city has paid at least $4.3 million. Additionally, former Police Chief Cameron McLay confirmed to PublicSource that he was so concerned about the relationship between the bureau and vendor B-Three Solutions that he took his concerns to the FBI in late 2015. The FBI launched an investigation. The status of the FBI investigation is unclear. The FBI will not confirm the status of any investigation. 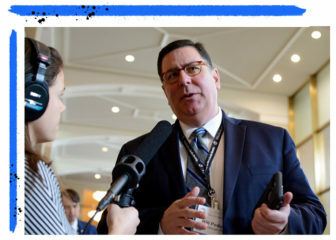 Pittsburgh Mayor William Peduto told PublicSource the FBI ended its inquiry without a finding of wrongdoing, but the city has not provided details as to when it concluded or how the city received that information. The city’s Office of Municipal Investigations is investigating matters related to B-Three. The Citizen Police Review Board is in the early stages of an inquiry. None of the investigations have been made public until now. The FBI investigation — confirmed by Peduto, McLay and two other top city officials — examined the possibility of improper ties between city employees and B-Three, as well as the possibility that the city paid the company in full for unfinished projects. “Potential improprieties were brought to my attention regarding B-Three Solutions,” McLay wrote in a statement to PublicSource, explaining why he prompted investigations. McLay, who resigned for unrelated reasons in November 2016, saw a worst-case scenario where evidence could point to criminal wrongdoing. According to sources with direct knowledge of the matter, B-Three programs weren’t working, and the company's services and products seemed to be favored over cheaper, more modern options. B-Three projects promised but in question include programs to track evidence, streamline sensitive investigations by detectives, and automate data on how officers spend their shifts, the latter of which is required by a 2011 city statute. McLay confirmed that the federal and city investigations were “active and ongoing” at the time of his departure. Peduto told PublicSource that the federal investigation ended last year without finding wrongdoing, according to a brief conversation he had at the time with Public Safety Director Wendell Hissrich. 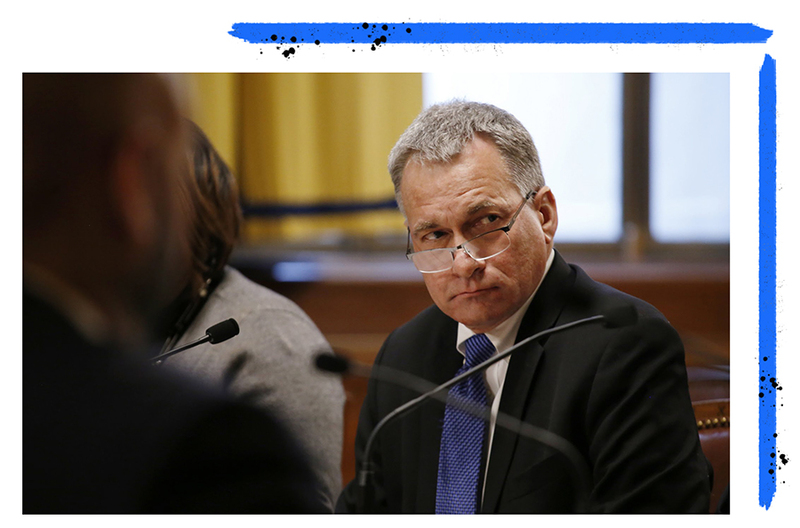 Hissrich referred questions about the status of the FBI investigation to the FBI. B-Three President Michael Walton said he could not comment on his company’s work for the city, citing a non-disclosure agreement. He said he knew nothing about an FBI investigation before being asked by a reporter at B-Three’s Plum Borough office on Jan. 25. But in a Jan. 29 certified letter sent to PublicSource via U.S. mail, Walton wrote that he’d learned the FBI was looking into the city — not B-Three. “The investigation was related to a fund that B-Three Solutions was erroneously paid out of,” he wrote, explaining that it was a one-time error. He said that investigation happened in 2014, which does not match the timeline given by numerous sources on the record. He did not answer additional questions. Yet, according to knowledgeable sources, the resistance by some in the police bureau to even consider cheaper, newer systems to replace B-Three products stoked McLay’s concerns in late 2015 that something might be wrong. Meanwhile, PublicSource has faced repeated opposition from the city’s Department of Public Safety to learn more about its dealings with B-Three. The city has repeatedly denied Right-to-Know requests filed in October for emails among police and Public Safety officials regarding B-Three. Additionally, PublicSource has attempted for more than two weeks to secure interviews with Hissrich, Chief Scott Schubert and Deputy Public Safety Director Linda Rosato-Barone, who has worked on numerous B-Three projects over the past decade. PublicSource received a call on Feb. 9 from Public Safety spokesperson Alicia George, who asked a reporter to reveal information on sources and the specifics of our investigation, which has been underway since September. George said interviews with the officials would be contingent on providing written questions; PublicSource provided a handful of written questions but no interviews have been granted and no answers have been sent. 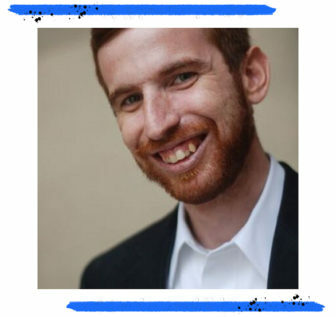 Matt Stroud is a freelance reporter in Pittsburgh. He can be reached at matt@publicsource.org. Follow him on Twitter @mattstroud. Update (6/21/2018): Information learned in further reporting shows that final payment for the Evidence Tracking system occurred May 22, 2013. The FBI today said it is not currently investigating the City of Pittsburgh’s relationship with B-Three Solutions. PublicSource reported on Feb. 14 that former Chief of Police Cameron McLay referred concerns about the possibility of improper ties between city staff and the Plum-based contractor to the FBI in November 2015. When McLay resigned a year later, that investigation was active, McLay said in a statement. Updated 2/20/18: The FBI confirmed to PublicSource that it does not have an open investigation into the city's relationship with B-Three. A Pittsburgh police officer filed a lawsuit Wednesday claiming he faced retaliation for raising alarms about potential “waste and wrongdoing” at the police bureau.